Dozens of new and aspiring Alaska commercial fishermen gathered in Anchorage in early December for the Alaska Young Fishermen’s Summit. 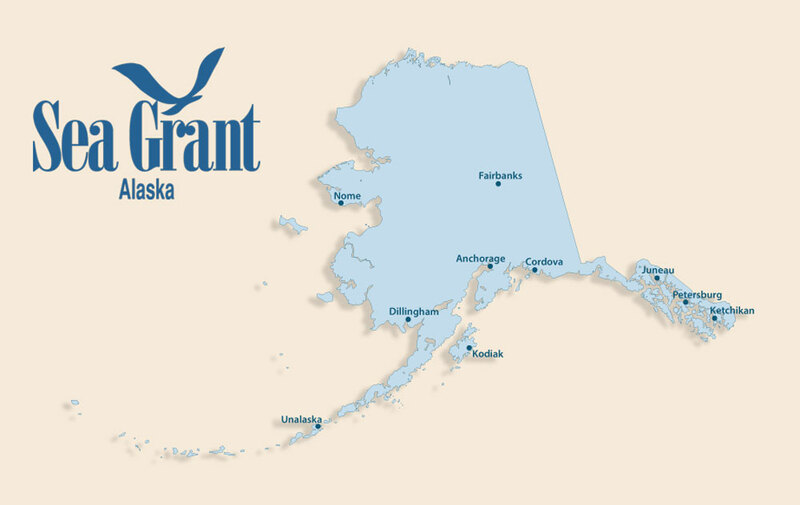 Organized by Alaska Sea Grant, the summit aims to train the next generation of commercial fishermen to be successful and help turn the tide on Alaska’s graying of the fleet, where the average age of a boat captain is now 50. With 85 participants, it was the largest turnout for the summit, held seven times since 2007. About half the attendees this year were women. Kristina Andrew, 30, of Dillingham, was among them. A third-generation Bristol Bay fisherman, Andrew didn’t sit still for most of the summit. She paced the Dena’ina Center conference room, soothing her one-year-old son, Kevin, strapped to her back. Kristina Andrew. Photo by Paula Dobbyn. Andrew took last summer off from drift gillnetting in Bristol Bay’s sockeye salmon fishery to care for Kevin. She’s itching to get back on the water next summer. “My dad compares seeing fish coming over the roller to Christmas morning. I agree,” said Andrew. She’s considering buying a boat of her own but the finances involved are a bit intimidating. And figuring out how to juggle nursing a baby, or future ones she plans to have, while skippering a vessel seems tricky. “If anyone has the answers, I would love to hear from them,” Andrew said. Balancing the pressures of commercial fishing with family life was the focus of one panel discussion at this year’s summit. Some key take-home messages emerged, for example: family comes first, no matter how exciting or profitable the fishing might be. “When you’re home, be home,” said Steven Rhodes, a two-time summit attendee and fisherman from Sitka. The 2017 AYFS participants. Photo by Dave Partee. Don’t always talk about fishing. Turn off the phone and play with your kids, several panelists advised, all of them experienced fishermen. Other sessions included both nitty-gritty and big picture details on how to navigate the Alaska fisheries regulatory process; how to successfully direct-market fish; how to maintain a vessel; and how to make a business plan, apply for loans, pay taxes and make a profit, or at least not go too far into the red or miss loan payments. “I suspect it’ll happen to each of you at least once. Commercial fishing is all about risk management. Fish returns, for example, aren’t something you can control,” said Lea Klingert, president and chief executive of Alaska Commercial Fishing and Agriculture Bank. Klingert, displaying spreadsheets with a variety of financial scenarios for fishermen, reassured the youthful audience that lenders like her are there to help if fishermen are serious about running a successful operation. “We’re going to ask you for more financial information, and we’ll come up with a plan,” Klingert said. However, if the borrower is off spending thousands of dollars on a Hawaiian vacation while behind on a loan, “we might have a different conversation,” Klingert said. Alaska Governor Bill Walker. Photo by Paula Dobbyn. Alaska’s congressional delegation sent videotaped messages of encouragement to the summit’s participants. Gov. Bill Walker and Lt. Gov. Byron Mallott also stopped by. Walker stressed the importance of commercial fishing, a multibillion-dollar industry, to Alaska’s economy. Alaska is in the midst of a recession driven by low oil prices. Sunny Rice, an Alaska Sea Grant Marine Advisory agent in Petersburg who has organized the summit since its inception, was impressed with this year’s cohort of young fishermen. Not only was it the largest group ever to attend, this year’s audience seemed particularly engaged with the material being presented and with each other. “They’re just so jazzed to be around others who are doing the same thing,” Rice said. Oceana Wills of Homer said the statewide perspective on Alaska’s commercial fisheries she got at the summit was an eye-opener. The next Alaska Young Fishermen’s Summit will likely be held in early 2020 in Juneau.